If you own an AirPort Express, Extreme or Time Capsule, you can not ignore the application 'Airport', which was developed by Apple and is available on the App Store. 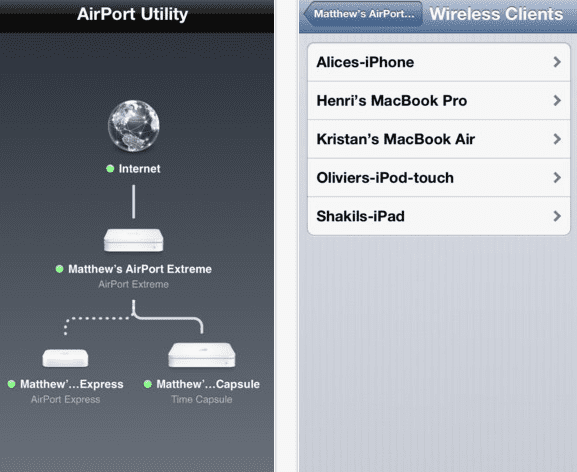 With this application you can manage your internet connections via your iPhone, iPod Touch or iPad. Along with this update we find in the App Store, you can also download an improved AirPort Utility 6.2 for your Macs from Apple official website . You can find Airport for iPhone, iPod Touch and iPad in the App Store from your country. Article The Airport application is updated with new features has been originally published in News iPhone .